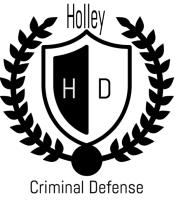 The Holley Criminal Defense Law Offices has extensive experience arguing cases in Placer County in both the adult and juvenile courts. When picking the best criminal defense attorney for you, it is important to consider the attorneys experience in that particular location. Familiarity with the Placer County courts, judges, and prosecutors, can assist in your defense. If you are charged with a crime in Placer County, it is important to contact an experienced criminal lawyer that practices in that area. Our Placer County defense lawyers and Placer criminal defense attorneys are here to help. If you are charged with a crime in Roseville, Rocklin, Auburn, Foresthill, Colfax, and Tahoe City, call our Placer Criminal Defense Lawyers to schedule a free consultation. The Placer County Superior Court Juvenile Courtroom is located in Department 12 at 11270 B. Avenue, Auburn, CA 95603. You may contact the juvenile court directly at (530) 745-2100. Attorney Jason R. Holley is trained and certified to practice juvenile criminal defense in Placer County. He has successfully argued numerous detention hearings allowing kids to get out of juvenile hall and reunite with their parents. Attorney Jason Holley has also tried juvenile trials also known as contested hearings in Placer County. If you or a loved one is under the age of 18 and have been charged with a crime in Placer County, is important to contact a juvenile criminal defense attorney in Placer County who is familiar with the court in Auburn and can provide the best defense possible. Call now to speak with a Placer County Juvenile Defense Attorney: (916) 956-2876. Our Placer County juvenile criminal attorneys are here to help.